Realtors like Gayle Hartman Walters can be a great resource for beginning landlords. Investing in rental properties for beginners can be exciting, frightening, and profitable. There is also a real potential for things to go wrong and for the situation to turn into something quite tedious and expensive. How do you know if you are ready to start investing in rental properties? Do some research and carefully examine your financial situation before getting started as a landlord. You should also turn to trusted professionals who can guide you through the process and give you a realistic view of what you can expect. In this LoveToKnow interview, Realtor Gayle Hartman Walters answers common questions for people considering the possibility of investing in rental properties for beginners. Is it easy to get financing for rental properties? No. Although rental property investments may sound like a good way to build your retirement portfolio, financing can be tricky. You must have very good credit and be able to put down 20 percent. How is it different from getting financing for a primary residence? Applying for a primary residence loan in most cases only requires as little as 5 percent down and your credit score does not have to be as good. Why should people consider investing in rental properties? Rental properties can be great in many aspects. The one that comes to mind first would be a tax write-off. Be sure to check with your CPA for ways this may benefit you. For instance, there is a program that is due to expire at the end of 2008 called Go Zone. Investors who meet these guidelines are able to write off as much as 50 percent of the price of the rental property they purchased. Is everyone cut out to be a landlord? Not everyone is cut out to be a landlord. I would advise anyone that is interested in considering this in the future to take several courses before jumping in head first. Investors not only need to understand the financial side, but also things such as landlord tenant laws. What is the first step to investing in rental property? I would strongly urge someone seeking to invest in Rental property to first speak with someone that has many years of experience. Realtors like me are familiar with the characteristics for a good Rental property. When shopping for a rental property there are several things an investor may want to keep in mind. Personally, I would look for a new home. This, to me, would be fewer headaches. An older home tends to require way more time and money. A Realtor also can help with a market analysis for that area to see if the home is really worth the asking price. What are some common mistakes people make when they start out investing in rental properties? The mistakes that I have seen could have been avoided simply by doing some research. Let's face it; we all want to get rich quick but at what expense? Take your time and do it right. What is the best thing about investing in rental properties for beginners? Investing in rental properties today can be a great retirement portfolio for tomorrow. I have friends who have purchased several rental properties over the years and will soon be able to retire and live comfortably. Whether they sell the properties and live off the profits or sit back and benefit from the rent coming in, this can be great. 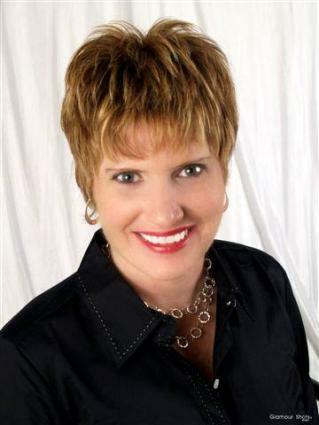 Gayle Hartman Walters has been with Remax Partners since 2004. Realtors like Gayle Hartman Walters are experienced in finding suitable rental properties as well as advising potential first-time real estate investors about the various things to keep in mind when investing in rental properties for beginners. Contact a local Realtor when you are ready to find rental properties to buy as investments and be sure to speak to a tax professional about the potential benefits and drawbacks to owning rental properties. LoveToKnow Mortgage thanks Gayle Hartman Walters for her time and for sharing her expertise in this interview.